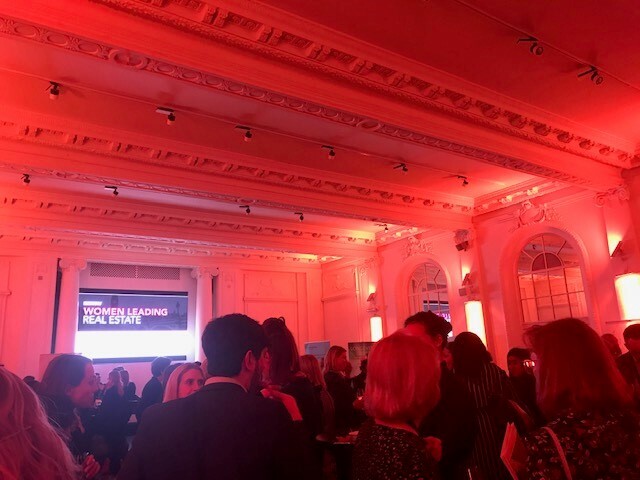 Earlier this month, I attended Bisnow’s Women Leading Real Estate event in London. It was a fantastic event, I gained insightful knowledge from industry leaders on the challenges facing the real estate industry and the new initiatives being implemented to combat these. There were two panels at the event. Panel One, Chaired by Dellah Gilbert (Partner at Maples Teesdale) with Morwenna Hall (COO at Argent), Michela Hancock (Senior Director Greystar) and Mike Sales (CEO Nuveen), focussed on debating work-life balance, specifically how important it is for employers to provide flexibility and support to working parents. From the offset, it was clarified the discussion was focussed on working parents, not just working mothers. It was stressed how important it is for businesses to have equal opportunities for both men and women, to not only demonstrate the business understands the obligations of parenthood, but also does not assume the responsibility falls to mothers – offering flexibility to both parents. The panel all have children, so understand first hand the importance of an open and understanding working culture which supports family commitments outside work. It was concluded that for a business to grow and gain a diverse, equal and inclusive culture, offering flexibility is a crucial factor to attract and retain the best talent. The second panel, chaired by Amanda Howard (CMS), joined by Madeleine McDougall (Head of RE at Lloyds), Ric Lewis (Chief Exec Tristan Capital), Deepa Devani (VP at GIC) and Kaela Fenn-Smith (MD at Real Estate Balance) tackled the diversity at work issue and the difference between what’s being said, and what’s being done. The overriding feeling was that employees hear a lot of passion for a diverse workforce, but don’t necessarily see the strategic actions being implemented to support. The importance for leaders and board level individuals to not only be passionate, but held accountable for implementing strategic plans, is crucial if changes are going to happen. The businesses represented each shared their thoughts and current efforts to support the future diversity of the sector. In the current real estate climate, when recruiting, the same universities and studies are highly sought after to gain talent. However, in order to diversify the workforce, the panel discussed how they are changing recruitment techniques and openly seeking talent from a range of different backgrounds, universities and fields of study. This will not only create diversity but bring a new way of thinking with employees delivering new skills, perspectives and aspirations. Ultimately, allowing a business to grow with employees that are truly engaged and motivated by the culture. Kaela Finn-Smith also divulged more information on the Real Estate Balance – a non-profit organisation that looks at addressing the gender imbalance in the sector. The organisation talks to business leaders to influence them to join the Real Estate Balance, and therefore commit to changing their corporate culture. It was a fantastic event and an invaluable platform to discuss and raise awareness of the gender-imbalance within the industry. The number of individuals and businesses present was inspiring, really demonstrating the awareness and passion behind eliminating diversity issues! The networking after the debates was a great opportunity to meet a diverse range of professionals in the sector and share and support plans to drive equality forwards! How can we narrow the gender gap in commercial real estate?